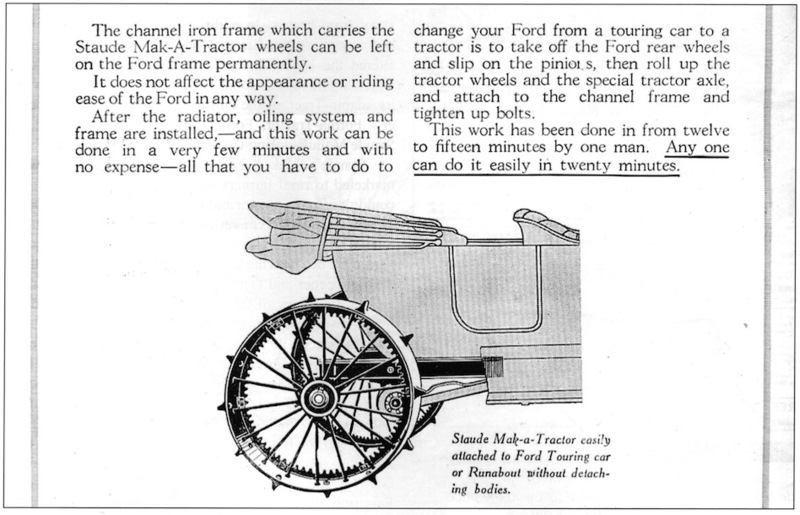 What does this Staude tractor conversion look like Fred? 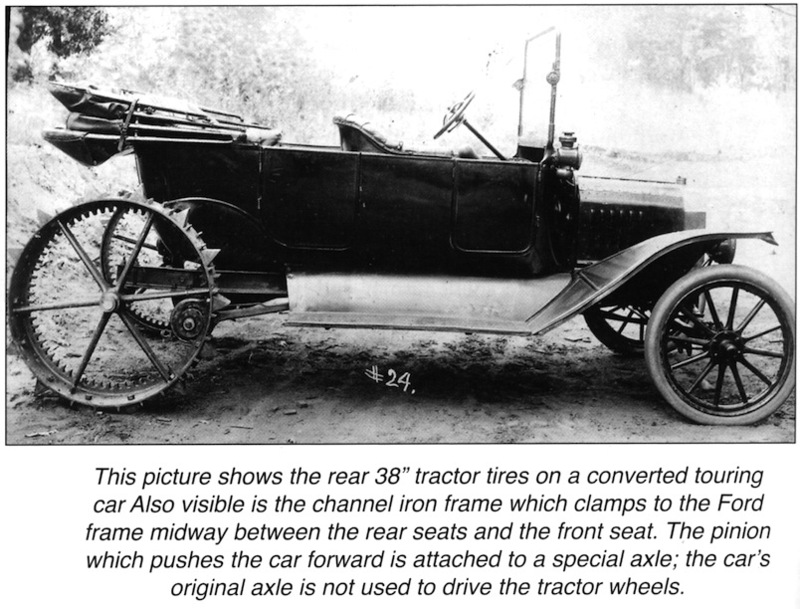 Is is a conversion from a Model T chassis? 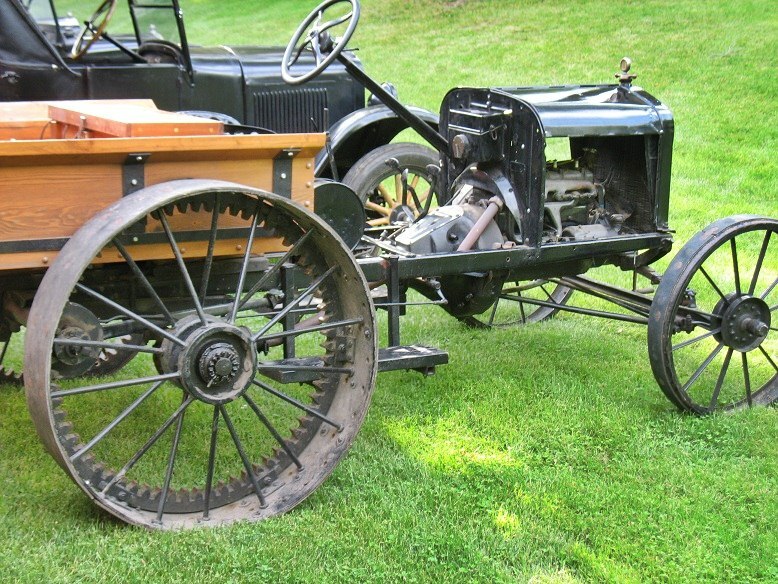 We just had a real interesting Fordson thread that started out with a Trackson conversion. That Fordson thread caused me to reenergize a 6 year old treasure hunt with a local widow and acquire my 3rd Model F Fordson. I think Dean Yoder recently posted pics of his Staude conversion. I happen to have that issue. Better yet, I was even able to find it. The magazine has a lot more pictures and information. Fred, there are two posts, one in Classifieds and one here. I only replied to the one in the Classifieds. 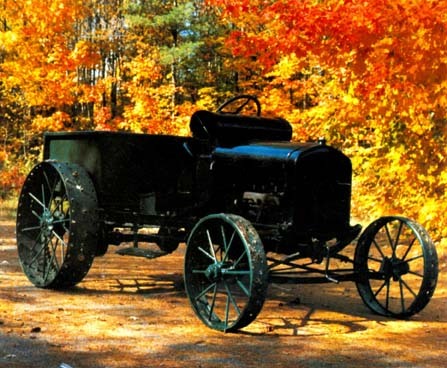 I did email the MTFCA President with a copy of the Classifieds thread asking him for an official read on whether it was OK to post things from "Vintage Ford" on this forum without having to get written (email? snail mail?) permission from MTFCA first, we'll see what he says. OOooops! Hope I didn't do a no-no. 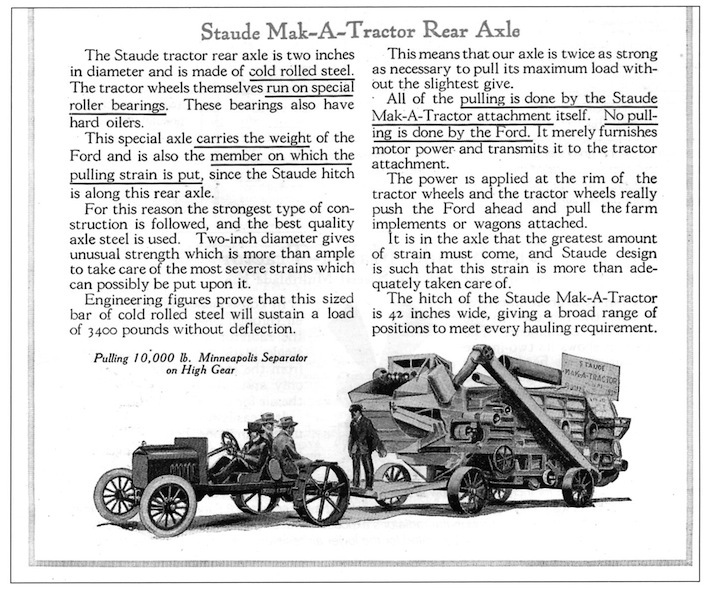 "Material appearing herein may not be used without the written consent of the Model T Ford Club of America." Hopefully I'll get a quick response from the club President on whether the above statement applies to this forum or not. Fred Houston: Just to let you know it is a great personal appreciation I have for your Forum involvement. Thanks !! Mark, I did forward your email to Jay, our editor. I, unfortunately, do not have the answer. Thanks Dennis, I did get your email. If Jay decides to post the answer here on the forum for all to see, you can tell him there is no need to reply back to me again via email. Thanks! Does the museum have a budget for the Staude? I know someone who has one. Whether he'd be willing to part with it is another question. Ron. Thank you for your input. I guess in this case, the Museum's Budget is our budget. 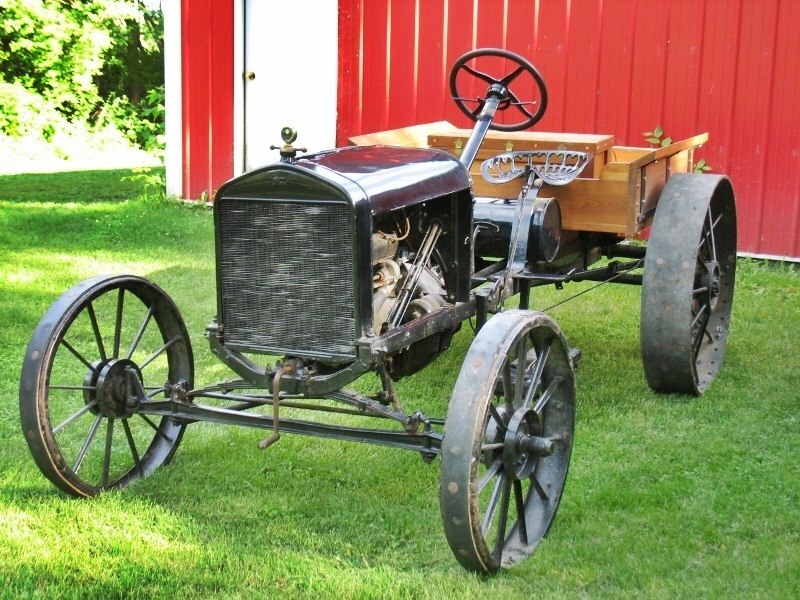 For the past 10 years or so, we at the Broken Arrow Model T Garage have been acquiring unusual items, restoring them and donating them to the club museum. This as pay back for the great times Lavina and I have enjoyed with the club of America over the past 50 years. 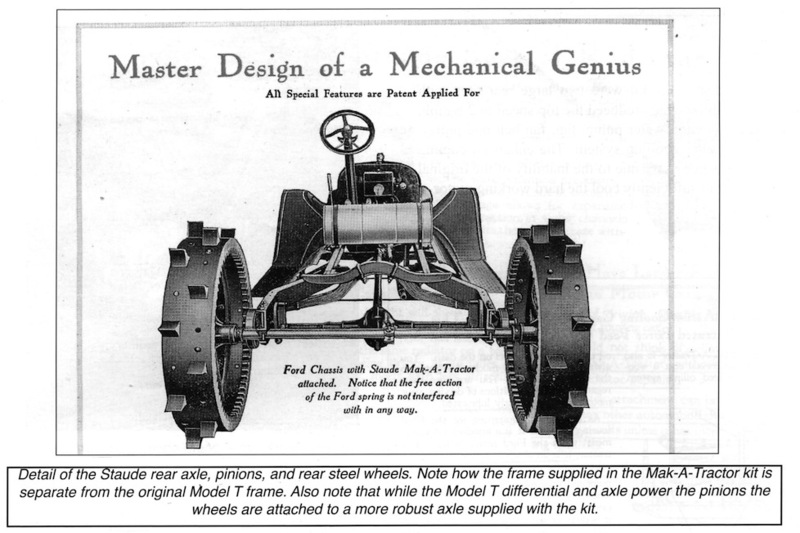 Plus we want to share the great Model T story with other folks. So Ron, we would appreciate it if you would check to see if it's for sale, and we'll see if it's in our budget. Fred PS. If it's for sale, send some photos. I'll check and see if the individual who owns it is interested in parting with it - as I said above, I'm not sure he is. He and I are the only ones, to my knowledge at least, in the northeast who exclusively collect and restore T and A doodlebugs and conversion tractors. His collection is in the double digits now - all restored/refurbished. He may looking to thin his herd out now - he is a big early Worthington guy, so the Staude may be something he'd part with more readily thank some of his others. He was using the Staude for plow days up until a year or so ago, so it is fully functional. I'll let you know one way or the other.